An exclusive opportunity to own two of the most iconic title in the world. A book with the power, courage, depth, creativity and dazzling energy of it’s extraordinary subject. 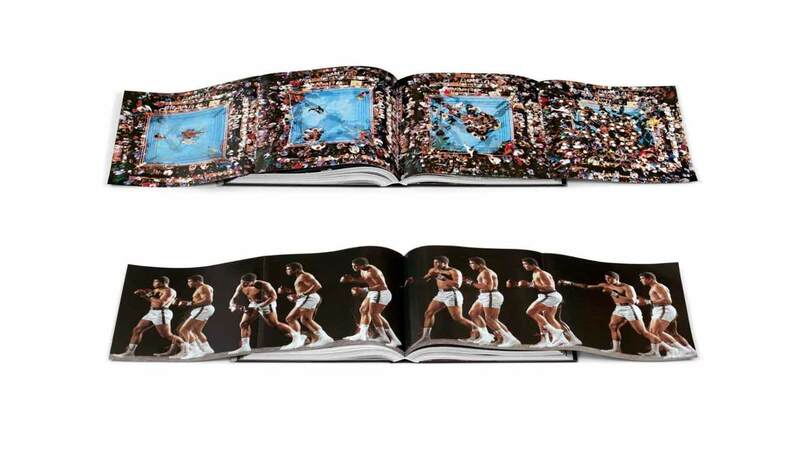 With thousands of images, including photography, art, and memorabilia and two gatefold sequences, this epic publication pays vivid tribute to The Greatest both in and outside of the ring. 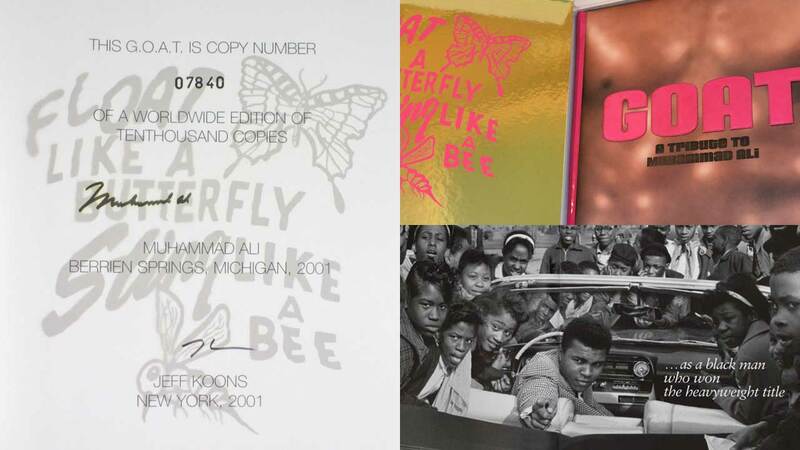 Original essays and five decades’ worth of interviews and writing explore the courage, convictions, and extraordinary image-building that made Ali one of the most recognisable and inspirational individuals on the planet, an icon not only as an extraordinary athlete, but also as an impassioned advocate of social justice, interfaith understanding, and peace. Measuring 50 x 50 cm (20 x 20 in. ), GOAT tips the scales at 34 kg (75 lb.) Over 3,000 images, photographs, art, and memorabilia, much of it published for the first time—from over 150 photographers and artists. 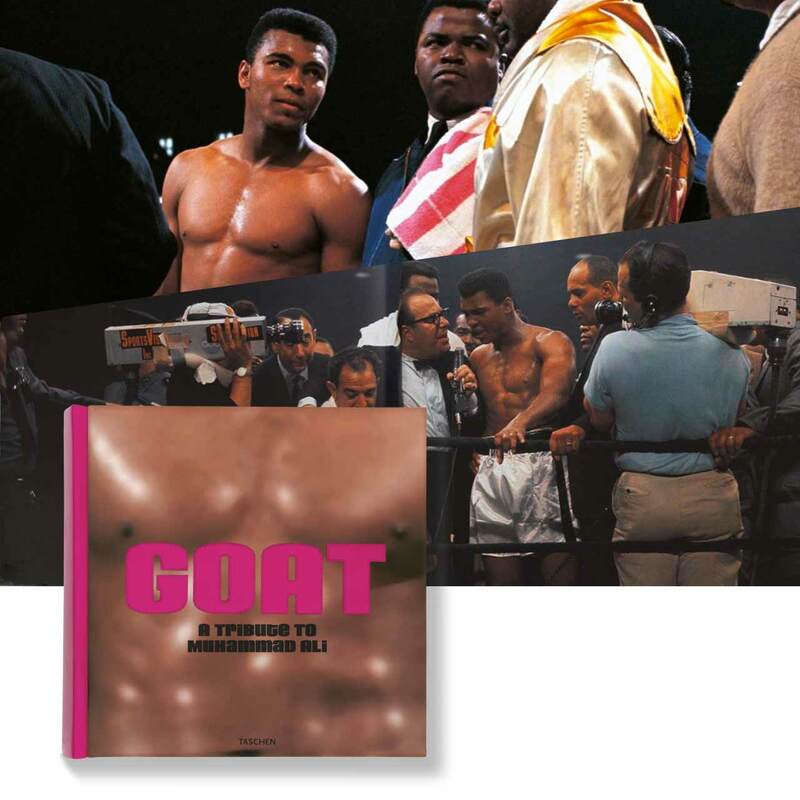 Featuring original essays and the best interviews and writing on the Champ over five decades, totalling 600,000 words. A silk-covered box illustrated with Neil Leifer’s iconic 1966 photo Ali vs Williams. XXL-format: 792 pages, including two gatefold sequences measuring 200 x 50cm (80 x 20 in. ); nine gold-metallic double-page spreads printed in silkscreen open each chapter. Highest-quality binding in pink leather, the colour of Ali’s first Cadillac. Optimum photographic reproduction, creating unparalleled intensity and range in the colours and exquisite tone and density within the duotone images. Eight-colour printing on Galaxi Keramik 200gsm semi-matte paper with gloss varnish on all images. Only 950 copies were released worldwide. A very limited global edition. 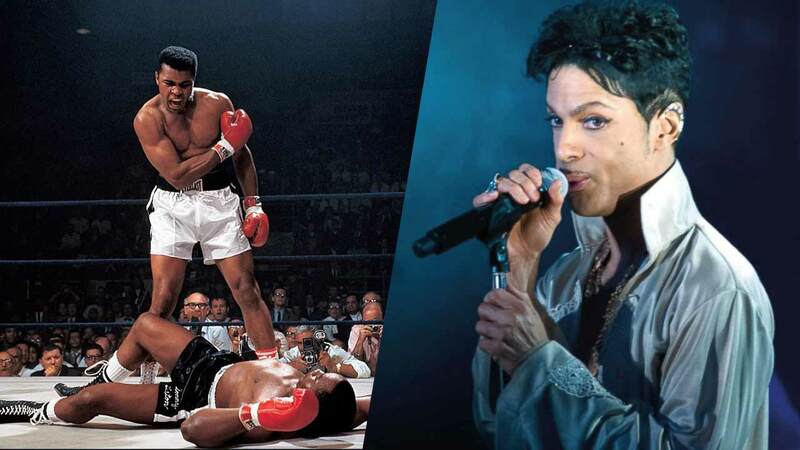 The 21 Nights Opus offers a unique insight into the lifestyle of international megastar and legendary performer Prince. Over 200 pages of of beautiful images displayed at an epic 13” x 20” size including a range of stunning gatefolds, The 21 Nights Opus explores Prince’s intimate world during his monumental residency at the O2 Arena in London. This Opus was an official collaboration with Prince himself. Prince curated the photography also accompanying his own personal lyrics and poetry with it. 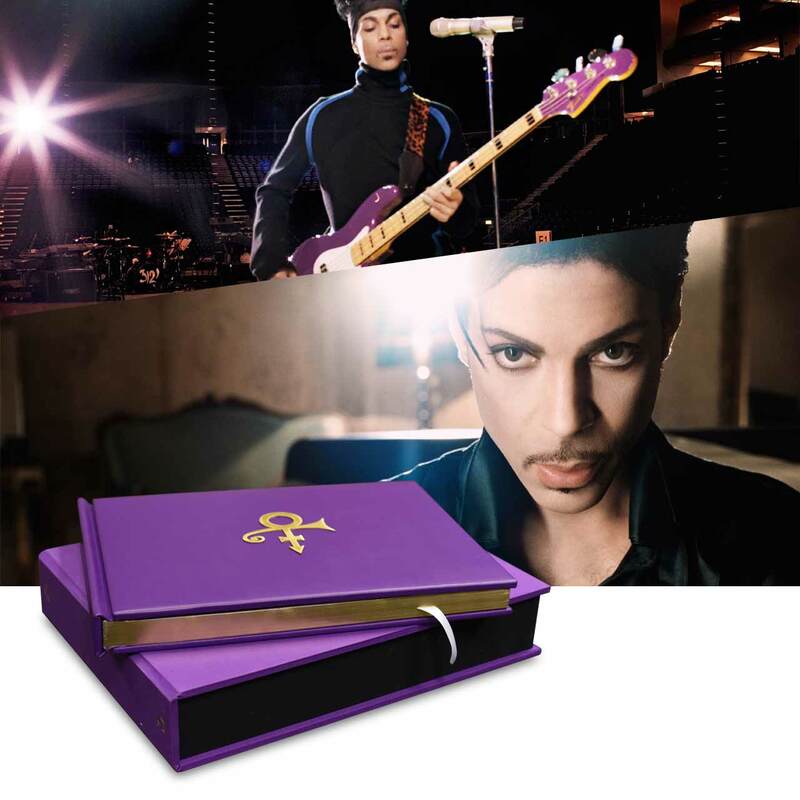 This limited edition Opus is bound in purple leather with gold coloured gilding and weighs an impressive 17kg. 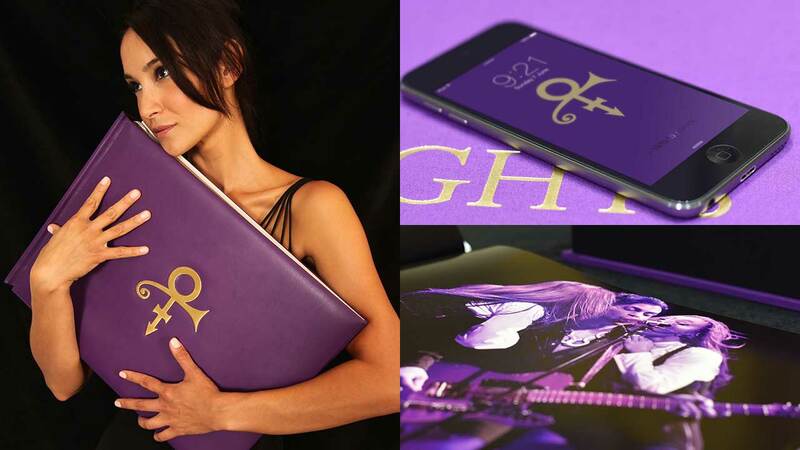 A clamshell presentation case, with gold screen printing, protects the Opus and includes a special iPod containing a 40 minute movie and a compilation of raw, live and after-show songs curated by Prince himself. An unique opportunity to own these two iconic titles at one exclusive price. Strictly sold on a first come, first served basis.